African American Health Program - Article - Welcome to African American Health Program, diabetes patient education! Welcome to African American Health Program, diabetes patient education! dMeetings are offered to help people better manage their diabetes and reduce the higher rates of diabetes complications in the Black communities. Nationally, Blacks/African Americans are twice as likely to be diagnosed with diabetes than Whites. Blacks/African Americans have 4 times more kidney disease and amputations. 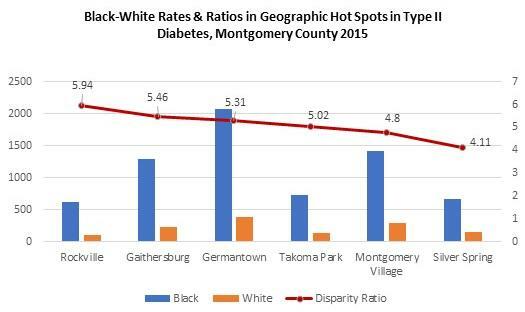 In Montgomery County, MD, diabetes rates are 4 to 6 times higher for Blacks compared to Caucasians in some of our cities and the rate of emergency room visits, due to uncontrolled diabetes, is 5 times higher. As a participant in the course, the knowledge you obtain and apply as an individual will help you better manage your diabetes. It is AAHP’s hope that you transfer the knowledge to others as an advocate in support of the AAHP mission. As you take this course, we welcome your feedback. Please contact, Linda.Goldsholl@montgomerycountymd.gov or 240-777-1701.